Fervently religious almost to the point of mania, Gordon achieved his immortal fame as a mercenary serving foreign governments but a most unlikely one as he fought not for money but for the Glory of God and the good of mankind. He first came to the notice of the general public as the leader of the Ever Victorious Army in China, a ragtag and bobtail collection of European, American and Chinese desperadoes welded together by Gordon into a fighting force effective enough to defeat the Taiping rebels in the 1860s – hence his sobriquet “Chinese” Gordon. Later he served the Khedive Ismail of Egypt as his Governor in the Equatorial Province of the Sudan striving tirelessly to wipe out the slave-trade, an endeavour in which he was only partly successful. In 1884, encouraged rather half-heartedly by the British Government, he returned to Khartoum ostensibly to evacuate the European community and the Egyptian garrison from the triumphant tide of Mahdism. When this proved impossible he could not be induced to leave and died what many saw as a martyr’s death in defence of the city. One of the most famous British soldiers of the late 19th and early 20th centuries Kitchener was, like his hero Gordon, a Royal Engineer. As Sirdar (Commander-in-Chief) of the Egyptian Army and commander of the Anglo-Egyptian force which reconquered the Sudan in 1898 he established a foot-hold on the long slippery climb to the summit of the military hierarchy. Driven by burning ambition and unflagging energy, he allowed nothing and nobody to stand in his way. In the South African War by 1902 he had eventually crushed the stubborn Boers with the same ruthless efficiency as he had the Mahdists and went on to become Commander-in-Chief in India where, in a power struggle over military policy, he forced the Viceroy, Lord Curzon, into resignation. He had few friends and many enemies but such was the power of his personality that few dared to challenge his authority. His tenure as British Agent and Consul – General in Egypt, the country he loved most after his own, was cut short by the outbreak of the First World War in which as Secretary of State for War he inspired the British people and raised the New (Volunteer) Army. By 1916, now well into his sixties, both his energy and his influence were beginning to flag when, on a mission to Russia (probably little more than an excuse by the Cabinet to get him out of the way) his ship, HMS Hampshire, struck a mine and sank off Orkney taking Kitchener, his staff and most of the crew with her. That he should die through enemy action (the most senior British officer in history to do so) was perhaps a fitting end to a waning career. Archie Hunter was one of the most effective front-line commanders of the late Victorian era. 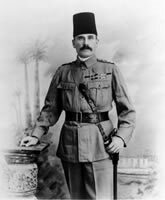 Through long and rugged service in the Egyptian Army he distinguished himself in many a “frontier” skirmish rising to become Kitchener’s commander of the Egyptian infantry division in the campaign to reconquer the Sudan 1896-8. A tough Scot, he had the humour and personal magnetism which his superior lacked and was described by Churchill as the “darling of the Egyptian Army”. Later, he was one of the few senior officers to emerge from the Boer War with an enhanced reputation. However, although on retirement he was the senior General of the British Army, he was denied the ultimate military prize of the Field Marshal’s baton. His Governorship of Gibraltar (1910-3) exposed a certain inability to cope with politicians and prominent civilians. Described by the Prime Minister, Asquith, as the best general in the army but “subject to fits of madness”, he was denied active command in World War 1 and remained in a training role at Aldershot. After the war, perhaps surprisingly given his opinion of politicians, he became an MP 1918-22 but made little impact. For many years he was ignored by historians but two recent books, “A Soldier’s Hero” by Duncan Doolittle and ”Kitchener’s Sword-Arm” by his namesake Archie Hunter have preserved his reputation for posterity. The son of a crofter, “Fighting Mac” was rewarded for his gallantry in the 3rd Afghan War with an immediate commission from the ranks of the Gordon Highlanders. During his long Egyptian Army service he proved himself an outstanding leader of Sudanese troops, particularly distinguishing himself at the Battle of Omdurman and becoming something of a national hero. In the Boer War, against a more sophisticated opponent he was less successful but was none the less knighted. A shy and lonely man, in 1903 while GOC Ceylon, he was accused of pederasty. Faced with court martial, disgrace and destitution he blew his brains out in a Paris hotel room. Some historians have chosen to portray him as the victim of an Establishment resentful of the popularity of a “ranker” but as no trial was ever held this must remain a matter of opinion. 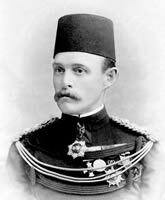 After service with the Gordon Highlanders in Egypt, at the Battles of El Teb and Tamai and with the Gordon Relief Expedition, Jackson joined the Egyptian Army in 1888 and was to become one of the Founding Fathers of the Anglo-Egyptian Sudan as Deputy Sirdar and Governor-General, often standing in for Wingate and Stack in their absences. Throughout the campaign of reconquest he commanded the 11th Soudanese Battalion, notorious for its ferocity in action and unruliness in camp, whose men regarded him as a kind of demi-god, sometimes to his embarrassment trying to protect him from the dangers of battle. He was OC Troops during the Fashoda Incident and, part of his education having been in France, was able to form a remarkable rapport with Marchand’s French expedition thus smoothing the way towards a diplomatic settlement of the crisis. When he was promoted to the governorship of Berber Province in 1900 some elements of his old battalion mutinied and he was recalled to settle the problem which he did by negotiating with the senior wives of the battalion. Certainly he had a way with the ladies and as Governor of Dongola Province for twenty years he was reputed to have had several Sudanese wives to one of whom he raised a monument. On retirement he farmed near Merowe where he died in 1930. One of his grandsons, known as Jacksa, is said to have played for the Omdurman football team. He should not be confused with two other well-known “Sudani” Jacksons, Colonel E.S. (EA 1898-1914) and H.C. (SPS 1907-31), the latter being the author of several books about the Sudan. Although his service on the Nile was brief, about nine months, the Battles of the Atbara and Omdurman with the Egyptian Cavalry were this famous soldier’s first experiences of war but this did not prevent him from criticising Kitchener’s tactics. His own career was (and still is) the subject of much debate. As the Commander-in-Chief of the British Armies on the Western Front for most of the First World War, he has been excoriated as everything from a callous butcher to a mindless incompetent as exemplified by such entertainments as “Oh ! What a Lovely War”. However, in recent years his reputation has been salvaged to some extent by leading military historians such as John Terraine and can now be judged in a more balanced perspective. 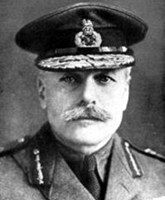 For all that the Prime Minister, Lloyd George, spitefully described Haig as “brilliant to the top of his boots” he could find no one in whom he had greater confidence to replace him. Nor, it must be said, did any of the other commanders on either side show the way to breaking the bloody deadlock of trench warfare dominated as it was by defensive technology. The longest serving of the Anglo-Egyptian Sudan’s Governor-Generals (1899-1916), Wingate had joined the Egyptian Army in 1882 originally as an ADC to the Sirdar, Wood, and later as Director of Intelligence. 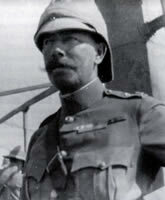 As such he played a leading role in the planning and execution of the campaign to reconquer the Sudan 1896-8. A year later he commanded the force which hunted down and killed the Khalifa Adullahi at Um Dibaykarat. Thus from 1884 to 1899 he was involved in virtually every operation against the Mahdiya and also took part in the difficult and delicate negotiations with the French at Fashoda. Succeeding Kitchener as Sirdar and Governor-General at the end of 1899, Wingate, known as “the Master,” was the motive force behind the reconstruction of the Sudan in the early years of the Condominium. During the First World War he organised the annexation of Darfur and, from a distance, played an important part in the Arab Revolt against the Turks. At the end of 1916 he was appointed High Commissioner in Egypt where he inherited a complicated and explosive political situation which, by 1919, led to a quarrel with the Foreign Office over his handling of Egyptian nationalism and he was shabbily dismissed, probably because he was right . He never returned to public life but prospered in business. To-day he is almost forgotten, even in the Sudan which he served for so long and with such success, and the name Wingate is usually associated only with his cousin, Orde, who rose to fame in the Abyssinia and Burma campaigns of the Second World War. 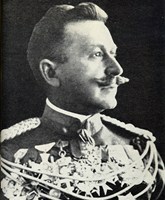 An Austrian soldier of fortune, Slatin Pasha, is perhaps the best known European in the history of the Sudan. Arriving in Egypt in the 1870s he took service under the Khedive as a provincial governor in the Sudan but was captured by the Mahdi in Darfur in 1883. After the Mahdi’s death in 1885 Slatin became the slave and, to an extent, confidant of the Khalifa Abdullahi until his escape to Egypt (organised by Wingate) in 1895. His survival in the fevered (both politically and medically) atmosphere of Omdurman during the Khalifa’s dictatorship is a remarkable testimony to his physical and mental resilience as well as his cunning and flexibility. He converted to Islam and abased himself before his master whom he hated and despised. As a result he received far better treatment than the other European captives being provided with women, servants, food and housing. On his return to Egypt he joined the Egyptian Army as Assistant Director of Intelligence under Wingate who became his life-long friend and sponsor. Serving in this capacity throughout the campaign of reconquest, with the formation of the Anglo-Egyptian Condominium he was appointed Inspector-General, a combination of Ombudsman and, as some British provincial officials saw it, spy for the Governor-General. With the outbreak of the First World War he was forced to resign and return to Austria where he joined the Red Cross and on occasion was able to assist British prisoners and internees. When peace came he resumed his numerous British friendships but never returned to the Sudan in any official capacity. 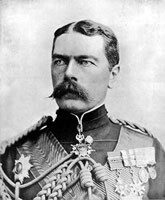 In the course of his career he received many honours, British, Egyptian and Austrian and was appointed an Honorary Major-General in the British Army. His book “Fire and Sword in the Soudan”, edited by Wingate, is essential reading for anyone interested in the late 19th century history of that country. At a time when successful generals enjoyed the celebrity status which pop stars and footballers have to-day, Wolseley was Victorian England’s most famous and admired soldier. Dubbed by the Press as “Our Only General”, his name gave rise to such expressions as “All Sir Garnet” (Everything’s fine) and adaptation by Gilbert and Sullivan in Pirates of Penzance as “The Model of a Modern Major-General”. As a young infantry officer he distinguished himself in the Crimea, Indian Mutiny and Burma going on to become leader of “The Wolseley Ring” of senior officers engaged in many colonial campaigns including Canada, Ashanti and the Zulu War. In 1882 he commanded the force which crushed Urabi’s rebellion against the Khedive of Egypt thus further enhancing his reputation. However, in 1884/5, after a slow start and lack of urgency, the Relief Expedition under Wolseley failed to rescue Gordon from Khartoum, rather denting Sir Garnet’s record of success and it was to be his last active command. Nonetheless, as Adjutant-General and eventually as Commander-in-Chief of the Army, he proved himself progressive and innovative frequently clashing with the War Office Establishment, in particular the ultra-reactionary Duke of Cambridge, his predecessor as C-in-C. Described by Disraeli as “an egotist and a braggart” he was often spiteful and vituperative in his relations with senior colleagues but he was a life-long admirer and champion of the private soldier doing much to improve his lot both in war and peace. A Glaswegian of Irish descent, Healey enlisted in the 79th Highlanders (Camerons) in 1878. After service in Egypt during the Urabi Rebellion he joined the Egyptian Army as the Mulahiz of the 9th Soudanese Battalion and was to serve in this capacity for ten years. 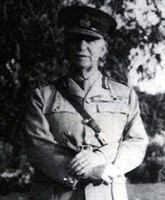 The British NCO or Mulahiz (literally Superintendant) of an Egyptian Army battalion was roughly the equivalent of a Regimental Sergeant Major responsible for drill and parade ground discipline but in action assumed the role of a supernumerary officer. 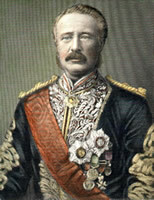 Uniquely, prior to the First World War, Healey was the holder of the Distinguished Conduct Medal with two bars, all won while serving with the 9th Soudanese at the Battles of Ginnis (1885), Sarras (1887, where he is reputed to have killed a Mahdist emir in hand to hand combat) and Toski (1889). Commissioned as a Second Lieutenant in the Camerons in 1895 he was appointed Yuzbashi (Captain) in the Transport Department of the EA with which he served throughout the campaign of reconquest 1896-99 taking part in all the major actions. He left the Egyptian Army in 1902 with a Mejidie 4th class and eight bars to his Khedives Sudan Medal and retired from the British Army in 1904. He had been wounded in action several times and to have survived a career of such hardship and continuous active service in one of the harshist climates in the world is astonishing. Although he is known to have died in 1928, where his death took place or what he did for the last 24 years of his life is yet to be discovered despite exhaustive research. His medals were sold at Christie’s in 1988 for £14,000. Several bars from his Khedive’s Sudan Medal are missing. 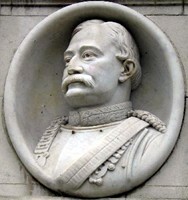 Bailey’s claim to fame was that he was Kitchener’s Chief Clerk and, later, Staff Captain, in charge of his office before and during the campaign of reconquest. Enlisting in the British Army in 1882 he served in the Nile Campaign of 1884-5. He joined the Egyptian Army as a Mulahiz (see Healey above) in about 1888 and fought at the Battle of Toski . After being commissioned in the East Lancashire Regiment in 1896 he rose to the rank of Kaimakam (Lt Col) in the Egyptian Army. One of Kitchener’s ADC’s, Lord Edward Cecil, wrote “…K’s office was a sea of papers, lying on tables, chairs, window-sills, the floor…he never let anyone touch them except Watson (another ADC) and Bailey…”. Kitchener was a harsh task master and Bailey’s burden must have been a heavy one but his chief saw to it that he was rewarded with promotion, an MBE and Mejidie 4th Class. He was appointed Assistant Adjutant General in 1901 and left the Egyptian Army in 1902, later serving in the First World War. Enlisting in the Gordon Highlanders in 1889, having reached the rank of Sergeant by 1897 he joined the 11th Soudanese Battalion as its Mulahiz (see Healey and Bailey above) under a fellow Gordon, Kaimakam Herbert Jackson. He served with the battalion at the Battles of Abu Hamed, the Atbara and Omdurman after which he was twice Mentioned in Despatches and awarded the Distinguished Conduct Medal. Commissioned in the Highland Light Infantry in 1899 he took part as a Transport Officer in the operations leading to the death of the Khalifa at Um Dibaykarat in November of that year. In January 1902, while serving as an Inspector in Bahr el Ghazal Province, he and a number of his men were murdered by dissident tribesmen of the Agar Dinka. For a full account of this event see “Death of a Highlander” in the British Army Review no.95 of August 1990 and the Melik Bulletin of July 2004. A man of huge stature and strength and a swashbuckling dare-devil who lived a life of excitement and adventure, Fred Burnaby of the Blues was also intelligent and literate, his book describing a remarkable journey through Russia, “A Ride to Kiva”, being a best seller, still read to-day. A favourite of Wolseley, it was through his influence that he managed to join the Gordon Relief Expedition in a more or less unofficial capacity despite opposition from the War Office and the Prince of Wales who regarded him as a bumptious upstart . Dressed in a Norfolk jacket and sometimes using a shot-gun, he tended to regard warfare as a rather dangerous, and therefore enjoyable, blood sport. At the Battle of Abu Klea on 17th January 1885 Burnaby, although not officially in command, ordered the Heavy Camel Regiment to part ranks to allow a machine-gun through. This near fatal manoeuvre enabled the Mahdist ansar to pour into the “unbreakable” British square inflicting serious casualties. Only the steadiness of the Guards and Marines, who turned about and fired inwards, saved the square and the entire Desert Column from destruction. Probably realising his blunder, Burnaby rode suicidally from the square and was speared to death. A Corporal MacIntosh of his regiment dashed to his aid but was himself cut down. After Burnaby’s death Wolseley wrote, “How delighted the Prince of Wales and the Duke of Cambridge will be that poor Burnaby is killed. His high military spirit, energy and remarkable personal courage were not sufficient in the eyes of these Royal tailors (sic) to cover up the fact that socially Burnaby was distasteful to them and their set”.